Modern medical and life science can make far more detailed and high-resolution investigations than was previously possible. 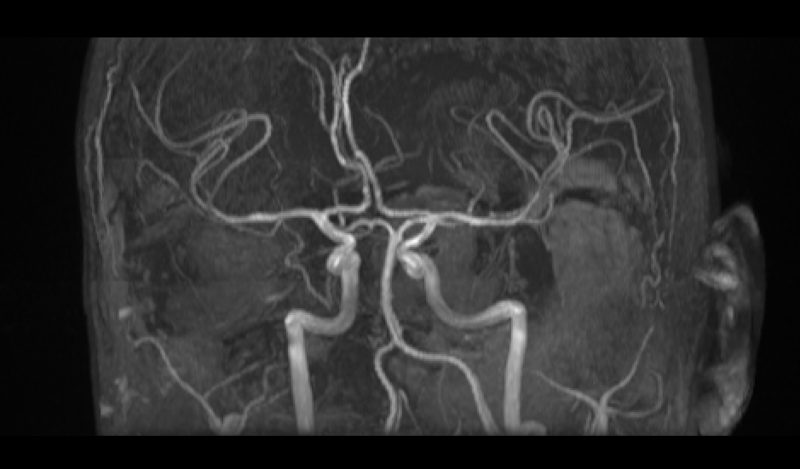 For example, MRI can non-invasively visualize complex anatomies and blood flow patterns in the circulation. However, our ability to make use of these large-scale data to generate new scientific knowledge or new clinical advancements is limited by our ability to integrate these data with other sources of information and to perform mechanistic and predictive analyses with them. While there have been many advances in computational biology and scientific computing, there remain critical bottlenecks. Key among these is the ability to compose efficiently and solve accurately and robustly the complex three-dimensional physical problems involved in physiological processes such as the flow of blood or cerebrospinal fluid, the distribution of airborne particles through the airways, or the electrical and mechanical function the heart. Hence, there is a great need to bring together expertise in software design, mathematics, and biomedical modeling to develop, deploy, and apply new computational tools for complex three-dimensional problems in biomedicine and to translate them to clinical practice. This is exactly the mission of this Center of Excellence. Blood flow in the brain is a key research topic at CBC. The Center for Biomedical Computing (CBC) aims at advancing computational methodologies for simulating complex physics in important problems affecting human health. The research is truly multi-disciplinary and brings together experts in physical modeling, mathematics, numerical methods, scientific software development, bioengineering, medical research, and clinical practice. The final years of the CBC were marked by the loss of our inspiring leader, Professor Hans Petter Langtangen. The plans for CBC sprung out of Hans Petter's visions for computing and software development, and he was deeply involved in the majority of the Center's research activities. During his period of illness he detached himself from the daily tasks of running the Center, but remained a very active researcher, a remarkably productive scientific writer, and a true inspiration for everyone who knew him. He is deeply missed by all his CBC colleagues. We started writing the CBC proposal in 2005, and thereby laying out the plans for its activities. This was less than five years after the establishment of our host institution Simula Research Laboratory. The CBC has therefore been a key factor in shaping and defining the Scientific Computing activity at Simula. The stable and long term funding, a set of ambitious and visionary plans, and the visibility that follows with being a Center of Excellence, have all been crucial factors in defining the identity of the Scientific Computing activity. As commented in last year's annual report, the final years of the CBC have mainly focused on two aspects. The first was to reach the goals and milestones set out in the original plan, and the second was to plan for the future, and secure funding to sustain the research community beyond the period of CBC funding. Although the milestones for the Center have been reviewed on an annual basis, and we have naturally allowed for some flexibility in such a long-term project, we are pleased to note that nearly all of the original milestones were reached by the official end date of the Center. It is even more satisfying to observe the diverse and expanding portfolio of new research projects, activities and ideas that build on CBC results. Several of these projects have received substantial external funding, and help to maintain the research community after the end of the CBC funding. The original plans for CBC described three main research areas, which were to be organized in three large research projects. The Computational Middleware (CM) project would develop general-purpose software tools for computational science, the Robust Flow Solvers (RFS) project would research new solution methods for flows and fluid structure interaction problems, while the Biomedical Flows (BF) project has addressed specific flow problems that are of interest to medical researchers and clinicians. All three research areas had ongoing activities when the CBC was established, but they all represented new research directions that were to be expanded considerably. As a result of strategic choices and recruitments in the early phase of CBC, the CM and RFS activities were centered around the FEniCS project. Through 2007-2017, FEniCS has evolved from being a new and promising open source finite element project, to become a mature and well-tested platform with a large user base. The CoE funding has enabled CBC and Simula to take a central role in the international team of FEniCS developers, and FEniCS has been established as the main platform for all computational science activities at Simula. The innovative software solutions developed by the FEniCS consortium have gone hand in hand with groundbreaking research on numerical methods, in particular related to error estimates and the use of adjoint equations in inverse problems and PDE-constrained optimization. The BF project was based on initial results in blood flow simulations, but the scope was later expanded to include flow of cerebrospinal fluid (CSF) in the brain and the spinal canal. Following the widened scope, the project was renamed to Biomedical Flows and Structures (BFS), and the activity has been closely connected to the Cardiac Computing (CC) project. The CC project was Simula's ongoing research activity in modeling cardiac electrophysiology and mechanics, which was integrated into CBC at the start of the Center. Both of these application-oriented projects have seen a clear development towards clinical utility. The BFS project has increased its focus on CSF flow, and has led to new projects, including an ERC Starting grant, addressing fundamental physiological questions. The CC project has been closely integrated with the activity in the Center for Cardiological Innovation (CCI), a Norwegian Center for Research Based Innovation (2011-2018). The strong clinical focus of these projects presents our computational scientists with considerable challenges, in particular related to data assimilation and ensuring reliability and quality of results. However, increased clinical collaboration also represents a step change in potential usefulness, impact, and visibility of our research. In brief, the main strategic choices of CBC research has been to focus the tools-oriented research around FEniCS, and to direct our application-oriented research towards potential clinical impact, and in particular to areas where we had close collaborations with clinicians. However, in addition to these two main trends the CBC has remained a vibrant and curiosity driven research community, with a continuous flow of new ideas and projects. Since we have also kept an open attitude towards new collaborations and funding opportunities, the present research portfolio of CBC is quite diverse, and targets a variety of topics in scientific software tools as well as numerous biomedical applications. We expect this structure to continue after the official end of the CBC, with the majority of our efforts put into two-three major research projects, surrounded by a number of smaller and more exploratory activities. These smaller projects are largely driven by the interests of individual researchers, and over time they may grow to more substantial projects. In our experience the combination of strategic, directed research with substantial freedom to pursue own ideas has been a successful formula for keeping a highly productive and motivated research staff. I would like to express my gratitude to the Research Council of Norway for funding the CBC, to Simula Research Laboratory for being an excellent host institution, and to the CBC staff and collaborators for creating a productive and enthusiastic research community. It has been an extremely rewarding and interesting ten-year journey. Finally, on behalf of all CBC researchers I am grateful to Hans Petter Langtangen, who's vision and enthusiasm not only created the CBC, but will continue to inspire long after his passing. The midterm evaluation of CBC was conducted by the Research Council in the fall of 2010, three and a half years after start-up of the Center. The self-evaluation was submitted on Dec 1, 2010, and detailed feedback from scientific experts was received in the winter of 2011. The appointed international committee for the evaluation of the eight Centers of Excellence with startup in 2007 met with the CBC management in March 2011. In this meeting we presented the main results and the remaining challenges for the period 2012-2017. The committee asked in- sightful questions and demonstrated a thorough understanding of the mission, the achievements, and the potential of CBC, a fact that was further reinforced in their final report. The evaluation report awarded the center with the highest possible grade: exceptionally good. CBC is a perfect example of the benefits of the Centres of Excellence, in that the establishment of the Centre has created the opportunity for developing a much broader vision than originally planned (tools developed have wide-spread applications to coupled multi-physics problems) so that the Centre has already exceeded its original ambitions, and, in the process developed unanticipated new national and international collaborations. The Evaluation Committee recommends that the Centre put significant effort into increasing its visibility in the biomedical field, and in particular, in expanding its publications in the biomedical scientific literature. CBC should also work on building their international profile and ensure the wide use of computational tools that it has created (and will create in the future). The Evaluation Committee also recommends that CBC take advantage of the newly funded Centre for Research Based Innovation to build its exit strategy. Efforts should continue to provide assistance to the Director so that he can pursue high quality research while managing the Centre. The Centre should continue its efforts to establish a training program for a new generation of biomedical researchers with strong skills in fluid dynamic modelling and modelling of cardiac electrical activity. These recommendations fit very well with our research plan for the second five-year period, and we have already taken additional steps in this direction by incorporating some of them in our milestones plan. We are therefore happy to be on track with our research plans and ambitions, and are excited about continuing our research after this glowing review of the center.